What causes headaches? 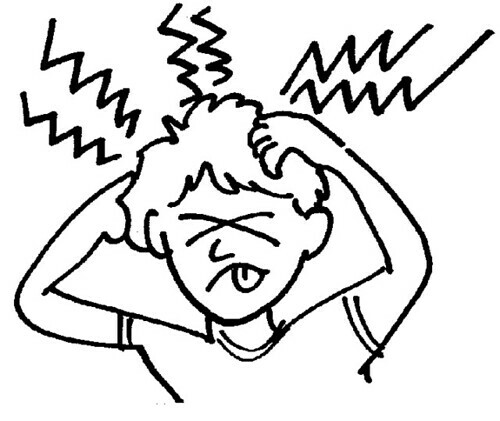 How to avoid and treat an Headache? It’s one in the morning, your ten-page paper is missing ten pages, and your neighbor has the latest N’SYNC hit on repeat. What could make this scenario worse? How about if your head hurts like crazy, so bad that it feels like someone pounded you a couple of times with a baseball bat. Headaches can, at times, make you totally unable to think coherently. Luckily, there are ways both to avoid and treat them.”Nearly all cases of headaches for college-aged people can be classified as tension-induced headaches,” says Jennifer Perrone, MD, a resident in a New York City hospital. It’s not surprising that the number one cause of your headache is stress. Stress from the professor who won’t bump up your grade. Stress from your high-maintenance significant other. Stress from your parents. Meditation can bring relaxation, focus, and clarity to your life — just don’t expect it all right away. For many, the word ‘meditation’ evokes thoughts of inner peace, true wisdom, spiritual enlightenment, and even extra sensory perception. However, my first piece of advice for anyone interested in meditation is to forget all that mystic mumbo jumbo. Put all such notions completely out of your mind. Instead, think of meditation the same way you think of brushing your teeth: It’s good for you and you should do it at least once a day. The reason behind this line of thinking is simple: Clouding your mind with expectations of the fantastic will only serve to prevent you from truly focusing on the task at hand. Namely, meditating. The startling and revelatory tooth brushing analogy doesn’t end there. Brushing your teeth is probably one of the few things you do with your full attention and concentration. You don’t brush your teeth while scarfing down breakfast on the way to class, or while you’re Napstering the Bee Gee’s “Saturday Night Fever” (arguably, their finest work). Your sole concern is polishing those ivories — and if it’s not, it should be. In a very real way, if you’ve ever brushed your teeth like this, you’ve meditated. Mission accomplished! Anytime you do something with single-mindedness, full concentration and participation, you’re meditating. 1. Stand with your feet shoulder-width apart. Bend your knees slightly and shift forward so the balance of your weight falls 40% on your heels and 60% on the balls of your feet. What do you drink when you get thirsty? In most college dining halls and snack bars, you’re faced with an astounding selection of sodas, juices, and the like. And a lot of them are spiked with caffeine and taste nice and sweet. Then there’s water. It contains no legal stimulants, and doesn’t come in funky flavors. It seems kinda boring. But when it comes to liquid consumption, water’s the best thing for you. In fact, water is necessary for survival. “[The human] body is composed of 50 to 60% water, and you need to keep the body’s water balance at that level,” says Jean Bigaouette, a nutritionist in Albany, NY. Every day the body loses water through sweating and breathing, and you need to replace it. By the time you get thirsty, you’re body is crying for more water. Everybody should aim to take in 64 ounces of fluids each day (that’s eight cups). It’s not as hard as it sounds. “Have two glasses at each meal and one in between,” Bigaouette suggests. Or try carrying a bottle of water with you at all times, and take a gulp whenever the urge strikes. It’s easy to go through several 16 or 20-ounce bottles in a day. Whatever your sipping strategy, “spread [water consumption] out over a day, don’t just guzzle it all at once,” Bigaouette says. Your body needs constant water replenishment, and having all 64 ounces in one sitting won’t do much good — and you’ll have to pee pretty bad. If you need a little inspiration to get all that water into your system, consider everything water does for you. A vegetarian diet can be healthy and easy — if you do it right. When you go away to college and leave behind home-cooked meals, there’s no one forcing you to eat a healthy, balanced diet. College dining halls present a challenge for all students, but vegetarians can have a particularly hard time getting all the necessary nutrients while at school, especially with the limited offerings at many slop, er, dining halls. Vegetarianism can be a very healthy lifestyle choice. 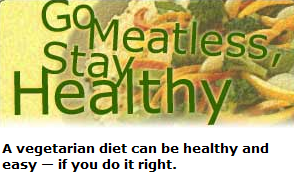 Complete vegetarian diets provide all the vitamins, minerals, fiber, protein and fats a person needs, and can be filling without too many calories. They can also be cheaper than diets including meat — an important consideration for poor college students paying for their own food. Disease prevention is another benefit of vegetarian diets — which generally include less saturated fat, cholesterol, and animal protein than non-vegetarian diets. Lower incidences of high blood pressure and certain types of cancer have been found in vegetarians. 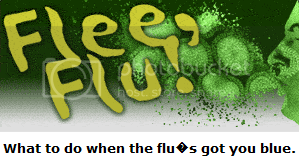 What to do when you catch the flu? Sunday morning arrives and your head is aching. You feel like you’ve been blindsided by a Range Rover. Your hall-mates give you unending grief; long gone are the days when they offered sympathy to the hung over. What they don’t know is that you went to the movies last night and didn’t drink a drop. What showed up and knocked you down? The flu. Many people mistakenly believe the flu involves a storm in the stomach. If you’re spending most of your sick time praying to the porcelain god (and you haven’t been drinking) you most likely have gastroenteritis, commonly called “stomach flu” but in reality no relation to the influenza virus, a.k.a. the flu. The influenza virus is one of a changing group of viruses that causes upper respiratory infections, much like a cold or acute bronchitis. Unlike the sly cold, however, the flu arrives as subtly as a freight train, causing head and muscle aches, chills, fever (up to 104° is common), fatigue and dry cough. Right from the start you’re utterly spent. After a few days, these harsher symptoms fade and are usually replaced with more cold-like sensations such as congestion and sore throat. Insidiously, the influenza virus sneaks into your body through the mucus membranes in your eyes, nose, and mouth. The beastly bug resembles a sphere with spikes sticking out, little thorns made up of proteins called antigens. After arriving uninvited, the antigens begin to mock your immune cells, which respond to the taunting by sending sniper proteins — antibodies — to fight off the virus. Every strain of flu virus has slightly different antigens, meaning your immune cells must create a new slew of antibodies every time a different strain invades. Fortunately, the immune cells never forget a foe; if a flu strain shows up to wreak havoc a second time, the antibody pattern is pulled from the memory bank and quickly replicated. Up to 50% of the US population is stricken by the flu every year, and people in highly concentrated areas (read: classrooms, dorms, bars) are more likely to fall prey. However, there are several approaches you can take to avoid the virus. The most common involves getting a shot. You’re sitting in class and you smell something awful coming from the back of the room. Who could it be? The guy in the hat and sweatshirt who looks like he just rolled out of bed? The girl who looks like she spent all morning getting ready and would never own up to it? Or is it your own stench that is making your classmates gag as they sit through another thrilling day of Ancient European History? Surely, it couldn’t be you. Could it? It might be body odor; it might be gas. Whatever the random ailment is, it’s probably something no one likes to talk about publicly. But all of us have quietly had to deal with it on the giving and receiving end: Gas, bad breath, body odor and other embarrassing ailments have been a part of everyone’s lives at one point or another. So, before you start losing friends, here’s how to avoid these and other bodily malfunctions, and what to do about these ailments if preventive medicine fails you. This is a terrible affliction that can affect your social, school, or work life without anyone ever mentioning the problem. It can lead to late night failure with that special someone you’ve been eyeing and it can turn job prospects into bad memories. 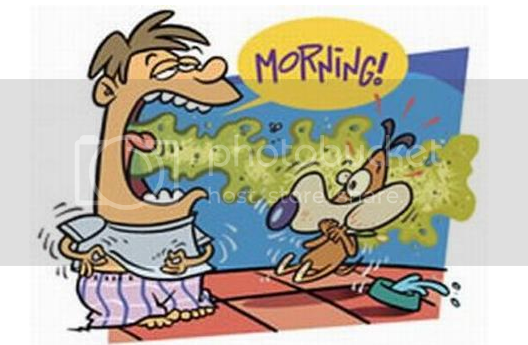 According to doctors at American Breath Specialists, 85-90% of bad breath comes from within your mouth and can be treated with a healthy dose of breath mints and some basic dental hygiene (brushing your teeth and tongue and flossing). Experts also suggest keeping your stomach acid calm and your nasal passages clear to avoid scaring away your neighbors.